Sue Minter did worse than I thought | The Vermont Political Observer. This week’s certification of the state election results brought a popular headline: Bernie Sanders drew more than 18,000 write-in votes for president. But there is one significant implication of Bernie’s write-in total, and it has to do with the gubernatorial candidacy of Sue Minter. In the immediate aftermath of the election, I theorized that the long, expensive campaign had had little impact — that Phil Scott entered as the favorite and exited the same. Now, I’m seriously rethinking that notion. Of course, we may never know which factors were decisive, if any. But it looks as though Sue Minter failed to take advantage of a large liberal electorate, and there was a meaningful opportunity to defeat Phil Scott. A few days ago I noted that Minter underperformed by about 40,000 votes relative to Hillary Clinton. If she’d equalled Clinton’s total, she would have won the governorship by 12,000 or so. Now, with final numbers for Bernie and the minor party candidates, it looks quite a bit worse. If you add Clinton’s total to Bernie’s write-ins and Jill Stein’s 6,758 votes, you get a total of more than 203,000 liberal/progressive/Democratic votes cast for president. Those were all potential Minter voters. Her total of 139,253 looks awfully puny by comparison. Indeed, Phil Scott’s total of 166,817 doesn’t look all that great. A record number of voters cast ballots. Nearly two-thirds of all the votes went to liberal/progressive/Democratic candidates for president. But only about 44 percent went to Sue Minter for governor. To put it another way, Minter got less than 70 percent support from leftish voters. Some slippage is only natural. Some voters don’t much bother with anything below federal offices. Others take each race on its merits. And yeah, a lot of liberals and moderates were more than happy with the idea of a Governor Phil Scott. But really, Scott’s total wasn’t that great. It’s actually unusual for the winning gubernatorial candidate in a presidential year to draw less than 170,000 votes. And this year’s electorate was historically large. I went back to 1992 and got numbers for the total vote cast in each cycle, and how many went to Republican candidates versus Democrats. There are some important footnotes, but here’s what it looks like in graph form. The top line is the total votes cast; the blue line represents Democratic candidates, and the red is Republican. Don’t read too much into it; every election is its own animal with its own unique dynamics. But some patterns are evident. — Vermont has a very strong presidential/non-presidential rhythm. Our electorate is reliably much larger in presidential years. This generally helps Democrats, but can’t overcome a weak candidate. — A putatively moderate governor has a big advantage. Look at Howard Dean’s run, followed immediately by Jim Douglas’. This is a bad portent for any Democrat thinking about challenging Phil Scott anytime soon. History says he’s got a clear path to multiple terms unless he screws the pooch. Which is very possible. — A candidate perceived as too far left or right has a very hard time running for governor. Look at Ruth Dwyer in 1998 and 2000, Peter Clavelle in 2004 and Scudder Parker in ’08. Many people on the left — and the right — argue that their parties err in tacking toward the center. This chart argues otherwise. I’m sure Bernie Sanders himself could break this pattern. But anyone running as a Bernie acolyte, such as Matt Dunne, would have a hard time breaking through. — Gubernatorial politics is personal. If Vermonters feel like the incumbent is doing okay, they’ll keep electing him or her. — Finally, Phil Scott didn’t do especially well. His total was respectable but not outstanding; Jim Douglas outpolled him twice in lower-turnout elections. Sue Minter, on the other hand, did particularly poorly. Not Clavelle or Parker bad, but she got a pretty low percentage of the total vote. What should the Democrats take away from this? Well, they’ll have a very hard time ousting Scott in 2018 — with one big “unless.” Unless there’s a historic backlash to the Trump presidency, inspiring liberal voters to go to the polls in large numbers. The Trump regime may make it a lot harder for Phil Scott to govern. Between Trump’s antipathy for blue America and the likelihood of deep tax and budget cuts at the federal level, states like Vermont may be hit hard by spending cuts in areas like human services, health care, education, and the environment. It’s quite possible that the state government will be a financial mess by 2018, with Scott either having to break his promises or impose Draconian budget cuts. In that scenario, there’d be an unexpected opening for an ambitious Democrat. Preferably one who could tap into the strain of populism that fueled the Sanders and Trump campaigns, and appeal to a broad swath of the electorate. He or she would have to seize the center away from Scott, which would be a hell of a trick. 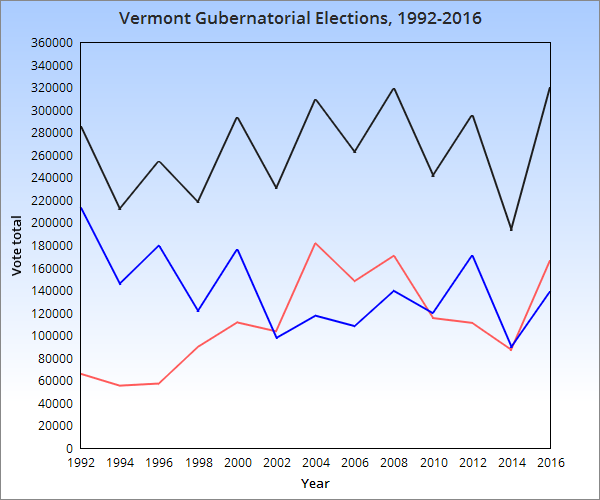 But the trends of Vermont history, and the persona of the man himself, argue that we’re in for three or four terms of Governor Phil Scott. We’ll see how it plays out. 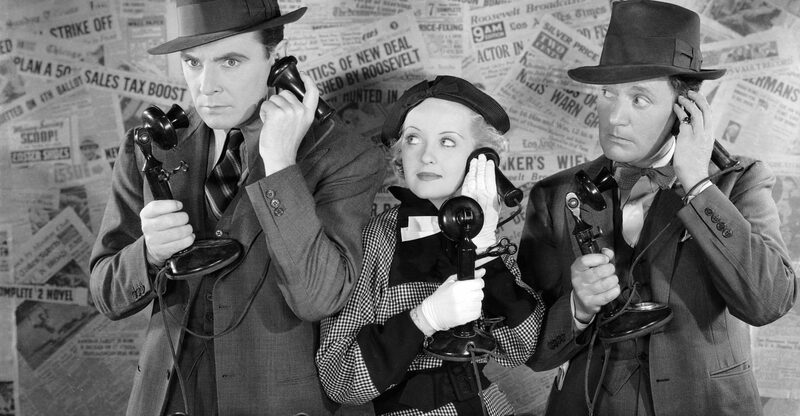 And I trust there are Democrats who are taking a much deeper dive into the election returns, so they can make informed decisions on how best to proceed from here. I don’t claim any monopoly on electoral insight. Indeed, based on my track record, I’d advise against taking anything I say too seriously. This entry was posted in 2016 election, Bernie Sanders, Matt Dunne, Sue Minter and tagged Anthony Pollina, Con Hogan, David Kelley, Gaye Symington, Hillary Clinton, Howard Dean, Jill Stein, Peter Clavelle, Ruth Dwyer, Scudder Parker, Thomas Morse on November 17, 2016 by John S. Walters.